End-to-end encryption protects your sensitive Skype text messages, VoIP calls and more from eavesdropping. 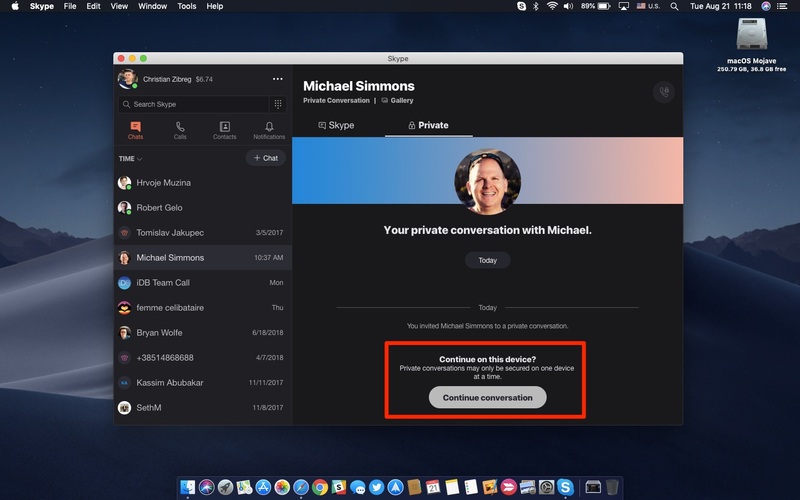 Here’s what you need to know about setting up and using this optional feature, called Private Conversations, in Skype’s iPhone, iPad and Mac app. 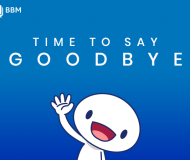 When you chat privately with a Skype friend, everything you exchange in the chat is end-to-en encrypted using the industry standard Signal Protocol by Open Whisper Systems. Your recipient must first accept a Private Conversations invitation before you can chat securely in a manner that prevents Skype, Microsoft and third parties from decrypting user content. Encrypted messages are stored up to 30 days to support offline messaging. 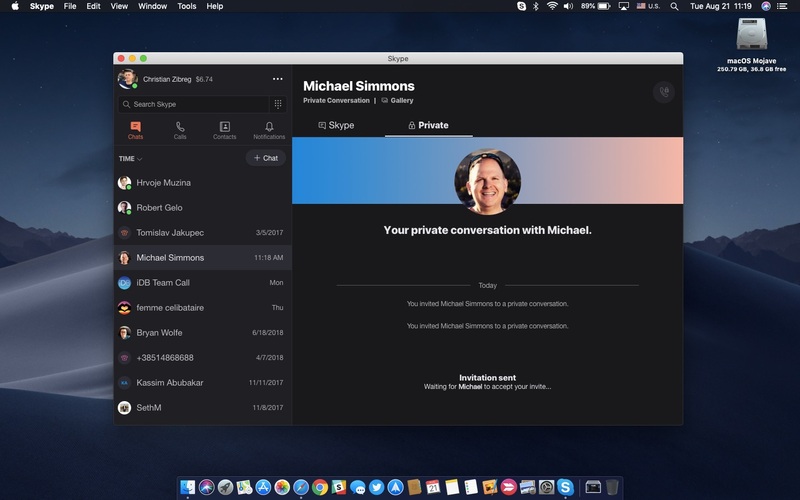 Private Conversations are available across Skype apps for Android 6 and iOS devices and in the desktop clients for Windows, Linux and Mac computers. For more information about Private Conversations on Skype, read this support document. A Private Conversation supports one device per user and is only between two users. A Private Conversation will have a Private tab in the chat. For added privacy, previews from Private Conversations will not show in your chats list or notifications. Private Conversation capabilities are limited, meaning you are prohibited from editing a message or forwarding a file. Also, from the chat window only emoticons, files and audio messages are available to send. Private Conversations require the other party to accept the invitation before you can send messages to them. Private Conversations are specific to a device. A new invitation must be sent and accepted to change to another device. Messages in a Private Conversation are only able to be accessed on the device with the accepted invitation. If you change devices for the conversation, the messages in the Private Conversation on the other device will not transfer. The security of a Private Conversation can be verified by checking the key setup between two users. Before you can use Private Conversations in Skype, be sure to update your installed copy of the app to the most recent version by tapping the Updates tab in App Store. On desktop Skype, choose Check for Updates from the menu. Here’s how to use this handy security-minded feature in Skype for iPhone. You can start a Private Conversations in two ways. First, you can choose to kick off a Private Conversation session with a contact right from the compose menu. Alternatively, the same option is available through their Skype profile. 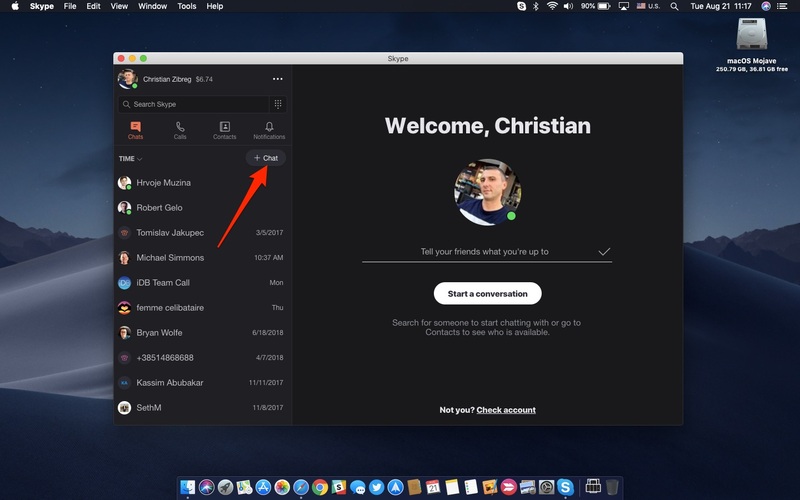 The instructions below detail using this feature in both Skype’s iOS and macOS apps. 1) Open Skype on your iPhone or iPad. 2) Tap the Compose button in the upper-right corner. 3) Select the option Private Conversations on the next screen. 4) Choose a specific Skype contact from suggestions, Skype’s address book or use the search field to find a person you’d like to conduct an end-to-end encrypted chat with. Keep in mind that this invitation is valid for 7 days. If they do not accept before then, the invite will expire and you will need to send another one. 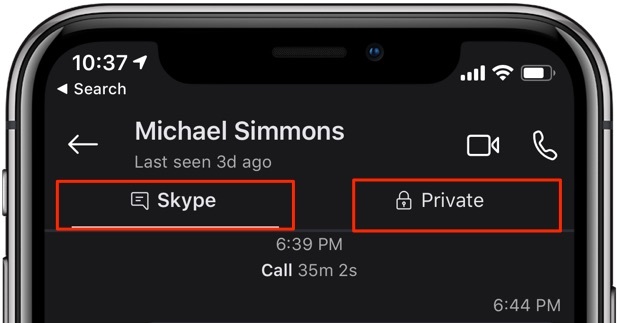 After they accept the invite, Skype will create an end-to-end encrypted connection between the two devices. This will ensure that all calls, messages and other content in that conversation is encrypted end-to-end until you switch the chat to another device or choose to end it. 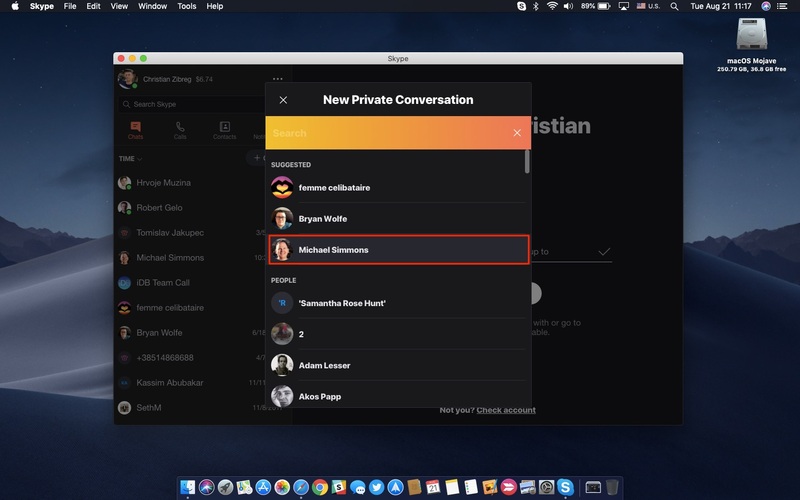 To quickly and seamlessly switch between your non-encrypted conversation with a Skype friend and the Private Conversation session, tap either Skype or Private at the top of the chat list, as shown on the screenshot seen right above. 2) Tap the Contacts tab at the bottom. 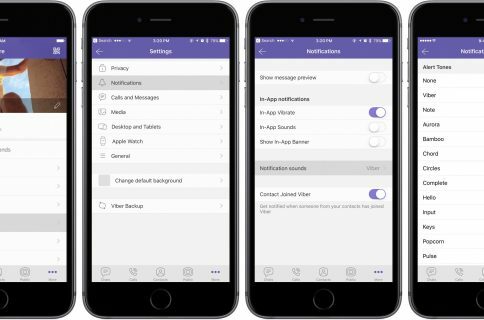 3) Tap and hold a Skype contact on the list in order to start an encrypted chat with them, then choose View Profile from the popup menu. 4) Choose Start Private Conversation from their profile. You’ll see a message if you’re already chatting with this persons privately on another device. 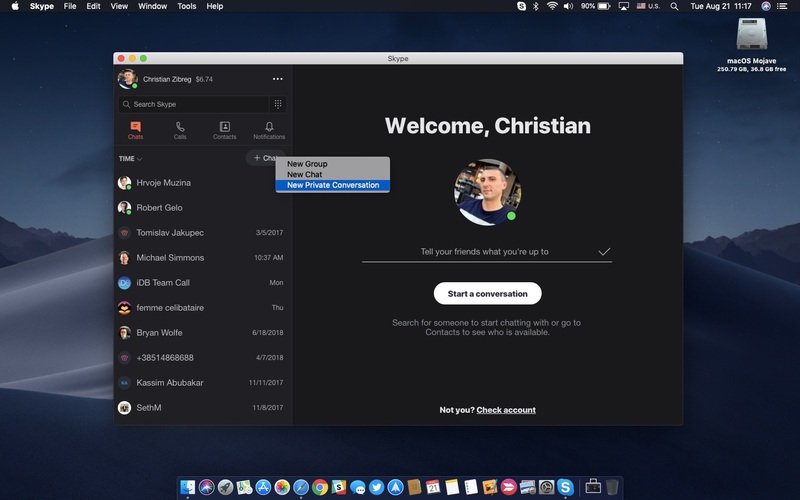 1) Launch Skype on your Mac. 2) Click the button labeled +Chat near the top of your contact list on the left. 3) Choose New Private Conversation from the popup menu. 4) Select a Skype contact to chat with securely. When the other side has accepted your Private Conversations invitation, you will be able to communicate over Skype in a safe manner with all of the calls, messages, photos, videos and other content exchanged in that conversation securely encrypted end-to-end. Switch between the regular chat and the end-to-end encrypted conversation by clicking the Skype or Private tab at the top of the chat window. 2) Right-click a desired Skype contact, then choose View Profile. 3) Click Start Private Conversation. 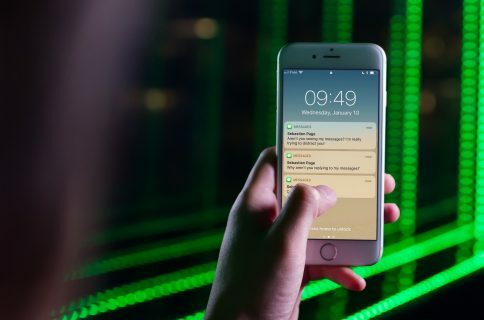 While you can switch an active Private Conversation to another device at any time, but your existing previous end-to-end encrypted exchanges from that chat won’t be synchronized between devices. Again, this is due to how end-to-end encryption works. 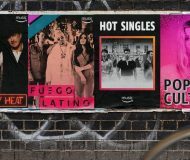 If you start an encrypted chat with the same person you’ve already engaged with in a Private Conversations on another device, Skype will put up a warning saying that “Private Conversations may only be secured on one device at a time”. Just hit Continue Conversation to continue chatting on that device. 1) Hit the chat header at the top. 3) Select End Private Conversation, then choose End Conversation. To start another private chat with this contact, send them a new invite. 3) Select Delete Private Conversation, then choose Delete. 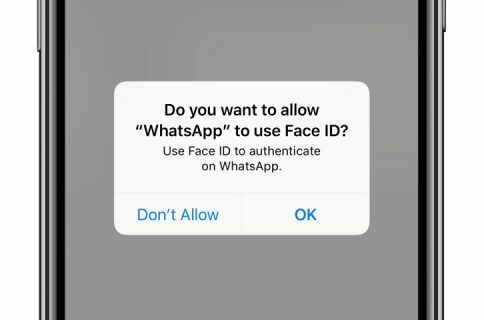 Doing so will remove your this chat’s private messages from your device. You will be able to start this Private Conversation later without needing to send a new invitation. 1) First, start a new Private Conversation or select an existing one. 2) Hit the Private tab at the top of your conversation. 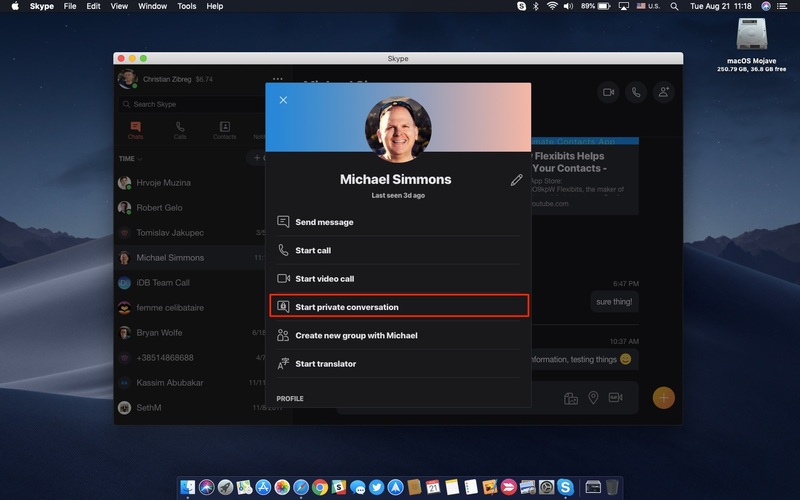 3) Hit the Private Call button on your Mac. In the iOS app, simply tap the chat header and choose the option Start Private Call. Keep in mind that end-to-end encrypted calls can only be initiated from an existing Private Conversation. 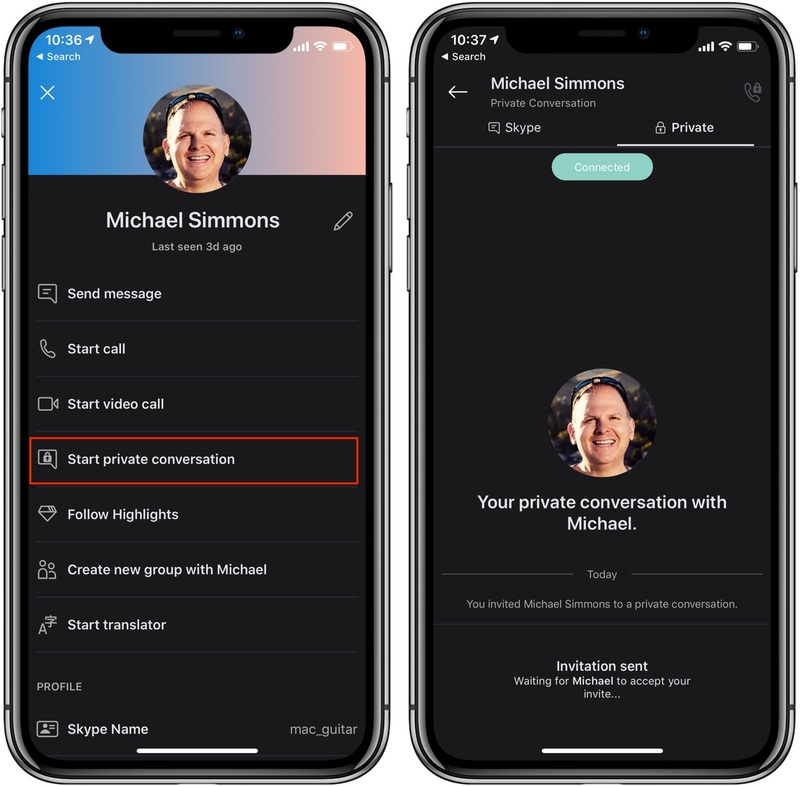 If you’re interested to learn more about the Private Conversations feature, including the technical details about its implementation, read Skype’s white paper. Do you like this how-to? If so, do pass it along to your support folks and leave a comment below.